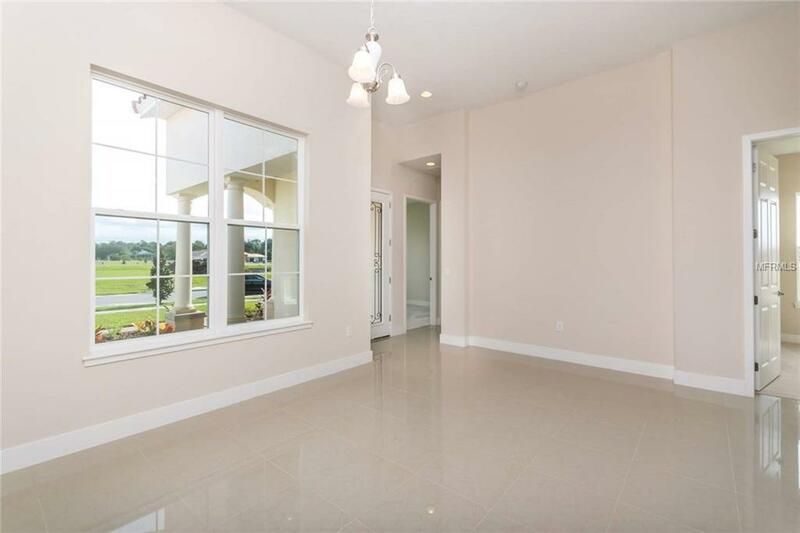 Bright, beautiful, and brand new this recently completed builder-home in Serenity Reserve is move-in ready. Your serenity begins outside where, in this 55+ Active community, exterior grounds maintenance is included in the HOA. 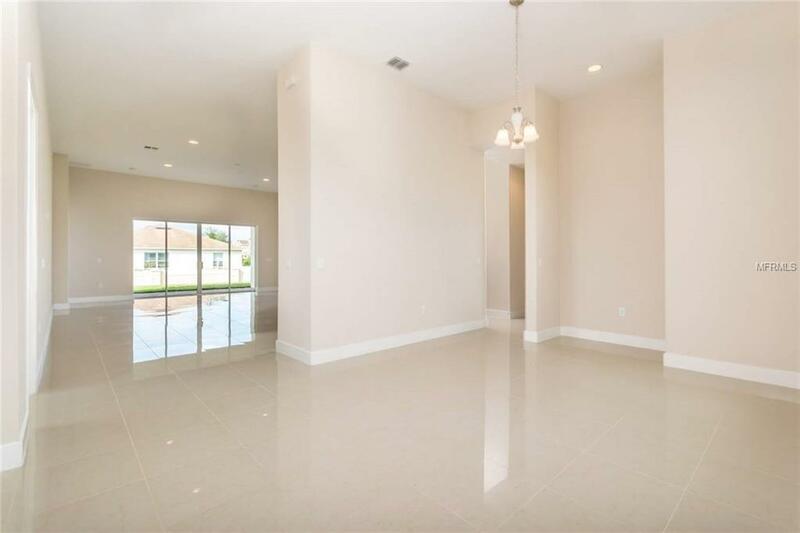 Inside, the open floor-plan, soaring ceilings and sleek porcelain tile surround you in luxury. 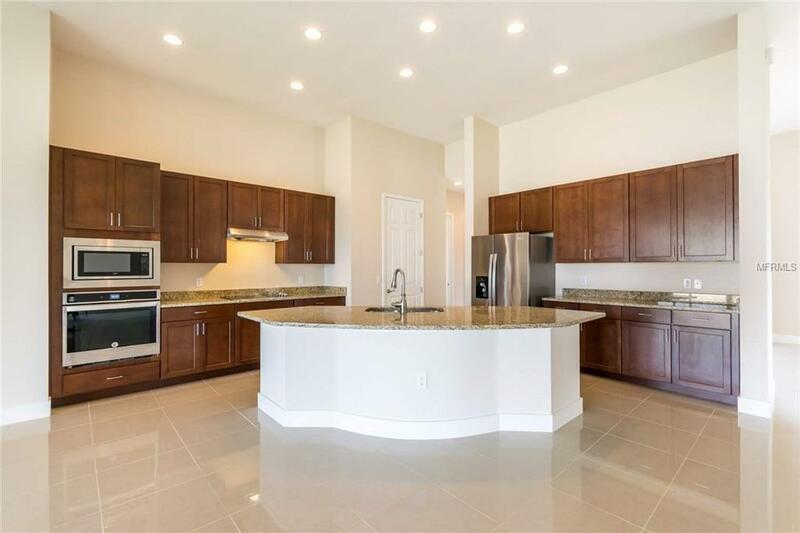 The premium kitchen is designed with entertaining in mind made easy by sprawling granite countertops, central island with sink, brand new energy-efficient stainless appliances, and convenient pantry. From the kitchen, gaze out upon the covered paver patio and walled backyard through quadruple "disappearing sliders.Chic style is matched by sheer space in this 3 bedroom, 3.5 bathroom home. At 2,600 sq. ft., the home boasts two master suites, plus one more bedroom AND an office/den how convenient! 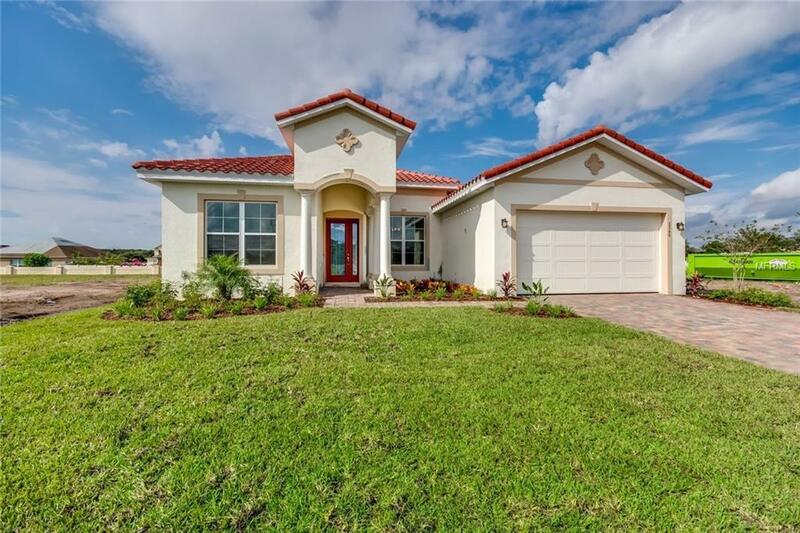 Serenity Reserve is poised to be a premier resort-style gated community, just 10 minutes from Lake Nona Medical City and moments from charming & historic downtown St. Cloud along with everything else that makes Orlando one of the top destinations in the world. When complete, the community will feature lush, landscaped walking paths, community garden, huge resort style pool and an incredible clubhouse with chef-ready kitchen, banquet room, fitness center & yoga studio. Start your lifes next chapter with serenity. Call today to schedule a private showing. Additional Lease Restrictions Must Check With Hoa.